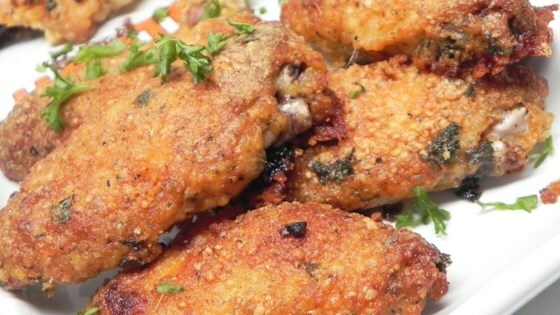 "Incredibly tasty variation of baked chicken wings with no marinade - just butter, garlic, and herbs. Great for the low-carb eater!" Excellent and tasty for the low-carb enthusiast!